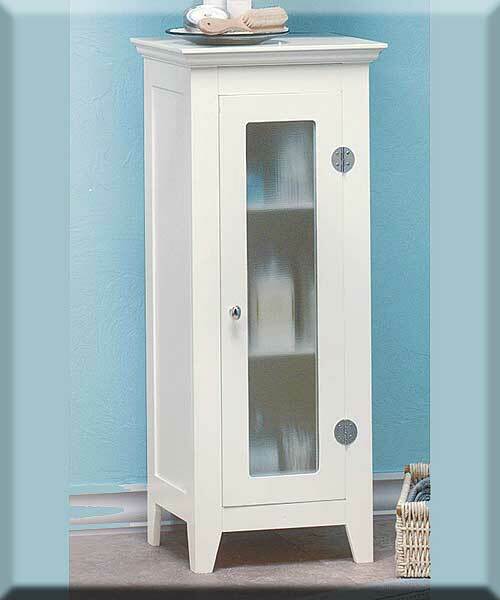 Stock# - D1148 Simply White Storage Cabinet - Handy three shelved cabinet stores and displays your items behind a glass door. 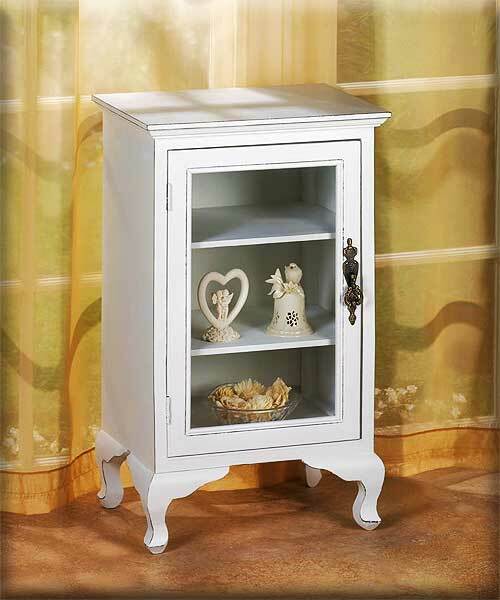 Elegant and simply white with decorative legs and door handle, it will be useful in any room! MDF and pine wood. 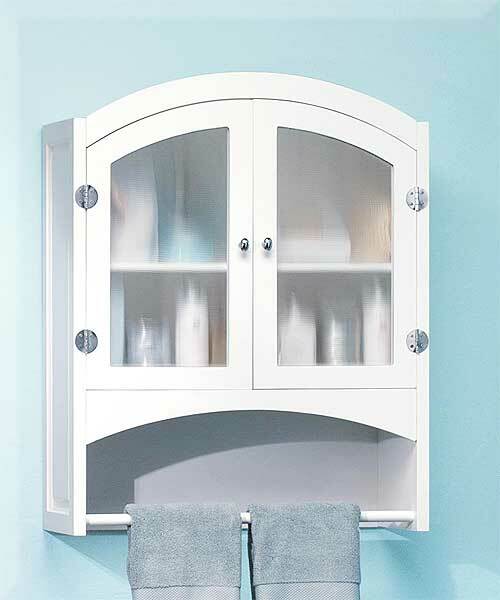 Stock# - 35013 Bathroom Cabinet - Understated chiffonier elegantly hides bath products and towels behind opaque glass doors. 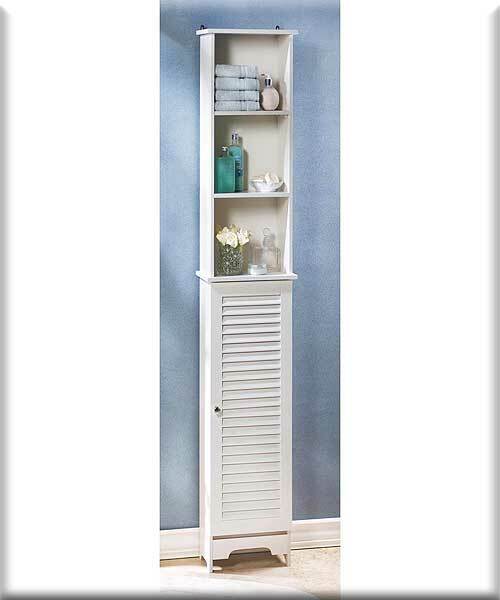 Off white color (colors may vary from the photo shown). 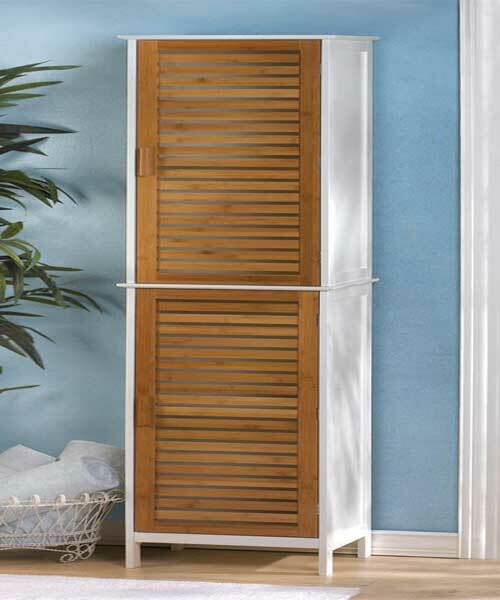 Magnetic-latch hardware. Wood. Some Assembly Required. 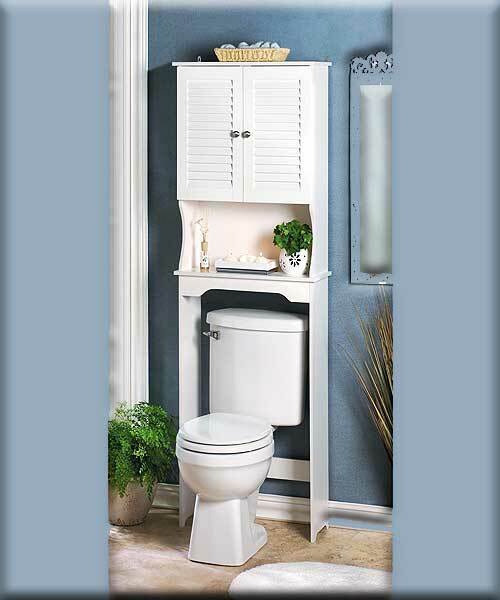 Stock# - 35012 Storage Cabinet - Refined bathroom cabinet delicately graces cramped quarters in style. Some assembly required.